Milkshakes are constantly evolving — from towering thickshakes to unique flavours in quart bottles, to consume on-the-go. While earlier they were available at cafés as a luxurious dessert, it is now being converted into a healthy option, as protein shakes seem to be the newest entrant. 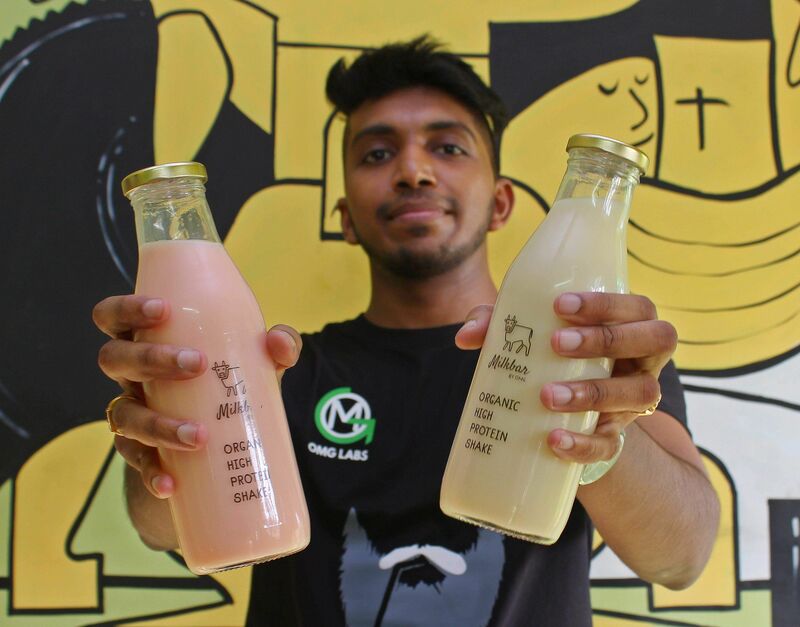 Chennai-based Milkbar by OMG is changing the game with its protein milkshakes that people can have so that they don’t miss out on the daily requirement of proteins in their diet. Being India’s only certified organic protein brand, the one-month-old initiative is the brainchild of 26-year-old Kasi Chettiar. An initiative of two-year-old Chennai-based OMG Labs, Kasi aims to help people who are not consuming enough of the dietary component at an affordable price. of whom helped him create the right amount of protein for the milkshake.“Generally, we need to consume around 60g of protein per day, regardless of how active you are but most Indians consume only 10 to 20 per cent of their daily requirement,” Kasi tells us. He adds that Milkbar will help people get at least 30 grams of the protein intake, but at the same time, encourages them to eat natural proteins, to balance it out. The menu called Single Malts and Blends has smoothies that are available in six fresh flavours — raw banana, salted caramel, coffee, French vanilla, forest berries and peanut butter. The raw banana milkshake is simply sweet and light, so as not to fill you up. The peanut butter smoothie, on the other hand, is a little sweeter but maintains the light consistency. The flavoured protein water does not contain sugar but instead has stevia, with a whey protein mix with water to make it tasty, yet energising. 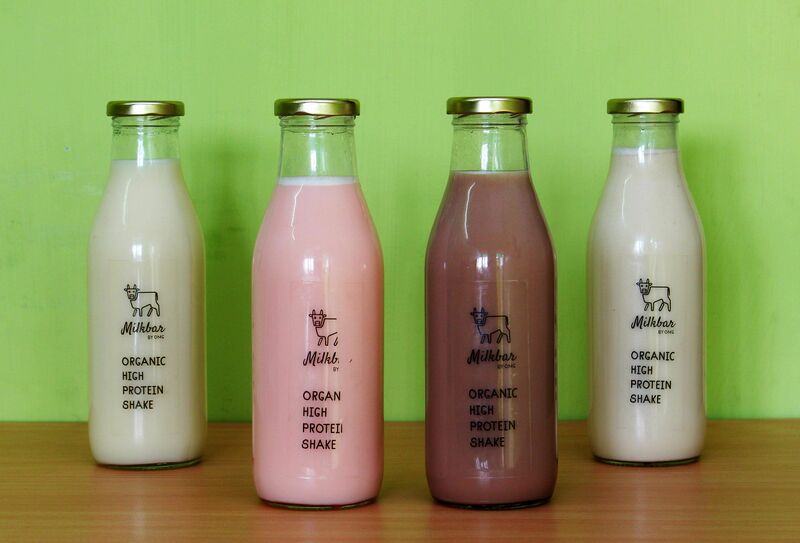 Milkbar also caters to lactose-intolerant people with alternatives like almond or soy-milk depending on preference. OMG’s Milkbar has majorly attracted fitness enthusiasts and gym-goers, but Kasi tells us he hopes to reach even malnourished children in India, as they are working with the government in healthcare. Talking about expansion plans, he wishes to reach the right consumer organically and presently has his eyes on Bengaluru, but not before he opens an outlet in Adyar, so it is easily available across the city. Price: Rs 150 for 330 ml, Rs 200 for 500 ml.